This is the perfect Roasted Cauliflower, with wonderfully caramelized golden edges, and a tender but not mushy texture. 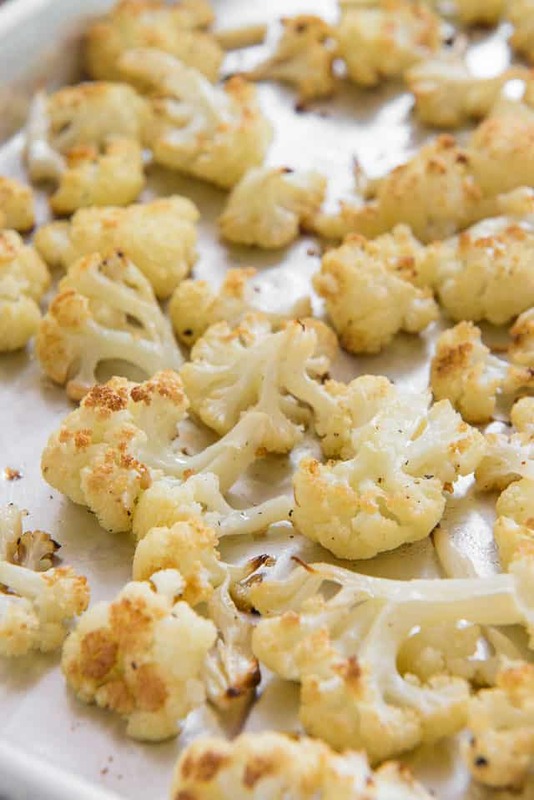 One of the secrets to loving vegetables is to find the best ways to cook them, and roasting is arguably the best way to make cauliflower. 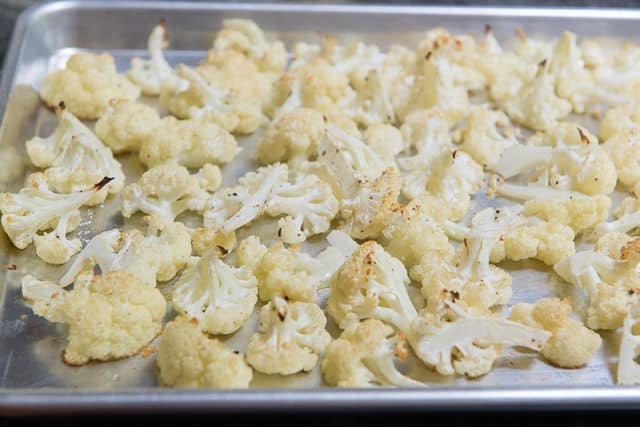 Sure, I also love Cauliflower Rice, Cauliflower Mashed Potatoes, and other cauliflower dishes, but I believe roasting is the king of all cooking methods when it comes to this cruciferous vegetable. No joke, I sometimes eat roasted cauliflower for breakfast along with some eggs, because I love it so much. Sometimes I see recipes for roasted cauliflower on the internet that claim to be the best, but they have zero color or caramelization to them. But that to me is the whole point, and exactly the flavor we are going for! 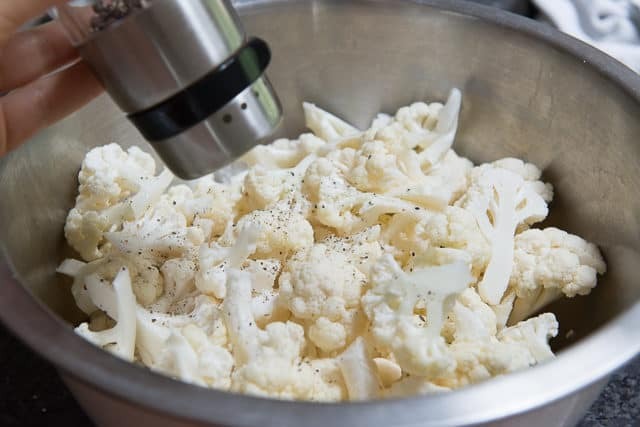 Cauliflower is a vegetable that can go “stinky” very easily, like if it’s steamed. But it’s not like that at ALL when it’s roasted. It has the most deliciously nutty and caramelized flavor. 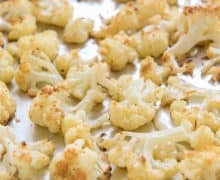 I’ve made roasted cauliflower hundreds of times, and I’ve played around with different roasting temperatures and times. The method below is how I’ve settled as the optimal way to create the most browned and caramelized version possible in the oven. It’s important the cauliflower are in a single layer, and not too crowded, otherwise they won’t brown properly. Also, if you’re wondering, tossing the cauliflower with the oil in the bowl, instead of on the sheet pan, is important. 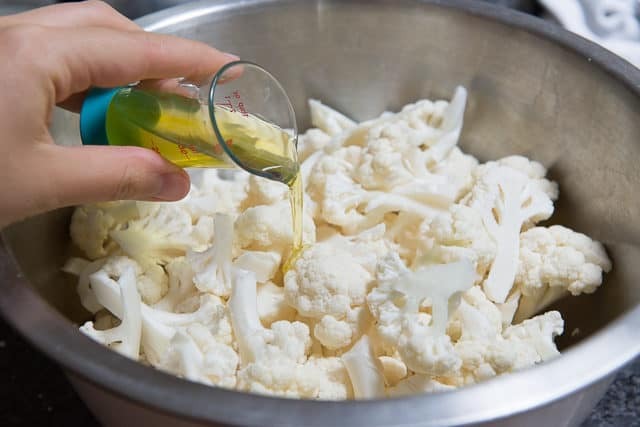 It’s a nice idea to toss right on the pan to save yourself a dirty bowl, but it doesn’t coat the cauliflower as well and evenly in the oil, which is important for browning. 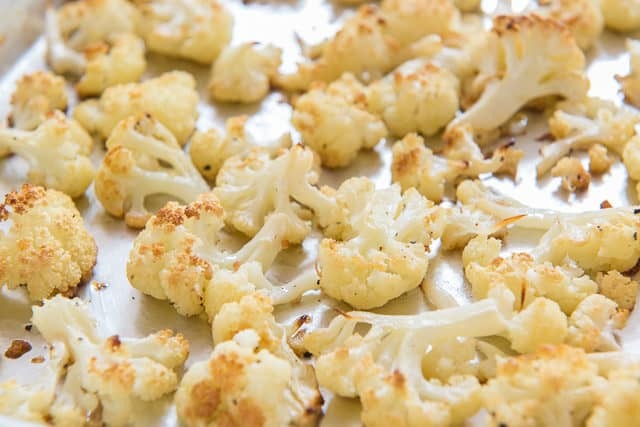 Toss all of the cauliflower, using a flat turner, and roast for another 10-15 minutes. I love tossing the cauliflower into a salad with this Roasted Pork Tenderloin, Lemon Vinaigrette, and leftover quinoa, for a hearty lunch or dinner. It’s also good enough to eat on its own, provided it’s seasoned well with salt and pepper. I love the stuff. Enjoy! Can Roasted Cauliflower be reheated? Yes, I simply reheat in the microwave until warm, but you can also rewarm it in a skillet on the stove, or in the oven. Can Roasted Cauliflower be frozen? Yes it can, but the texture won’t be as nice afterward. It’s still good though. 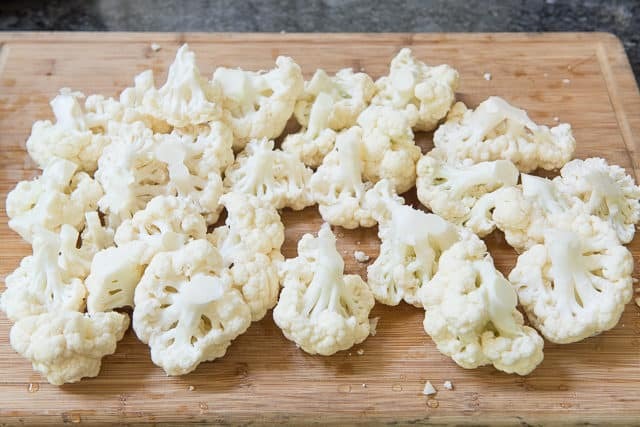 Is Roasted Cauliflower healthy? Yes, it’s one of the healthiest foods I can think of! It’s full of fiber and nutrients, it’s low carb, and fits with many eating lifestyles like Whole30, keto, paleo, vegan, and more. Wash the cauliflower, then trim and cut into florets. 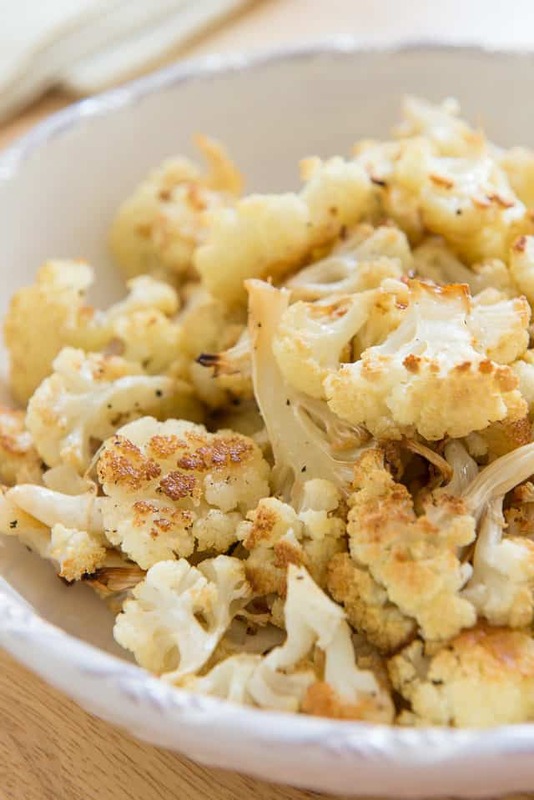 In a large bowl, toss the cauliflower florets with the olive oil, salt, and pepper. Really toss it thoroughly, so the oil is as evenly dispersed as possible. 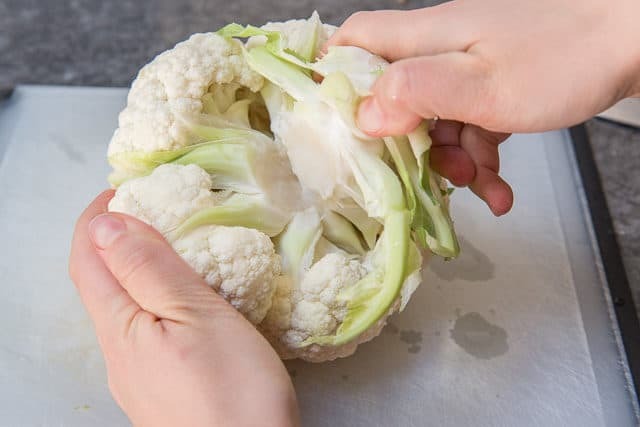 Scrape the cauliflower (and any oil from the bowl) onto a baking sheet, spreading it evenly in a single layer on the pan. Roast for 25 minutes, until the tips and edges of the cauliflower are starting to brown. 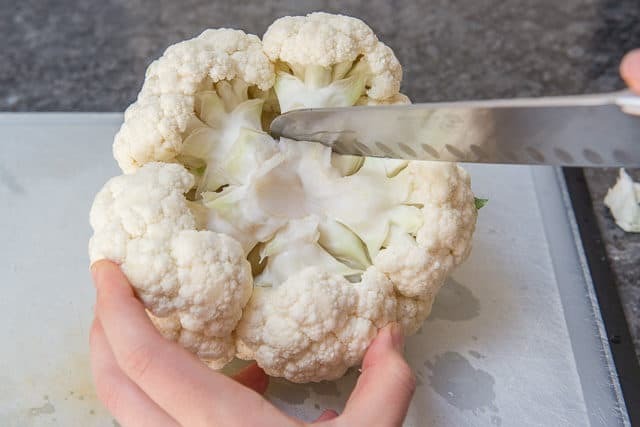 Using a flat turner, toss all the cauliflower around and re-arrange in an even layer. Roast for another 10-15 minutes, until the cauliflower is brown and caramelized all over. *Mine weighed 2lbs before any trimming. It equaled 8 cups of florets once I cut it down. **I use EVOO in all my cooking for both health and flavor. If you're concerned about the heat, read this article from Dr. Joanna, feel free to do your own research online, or substitute a refined olive oil. 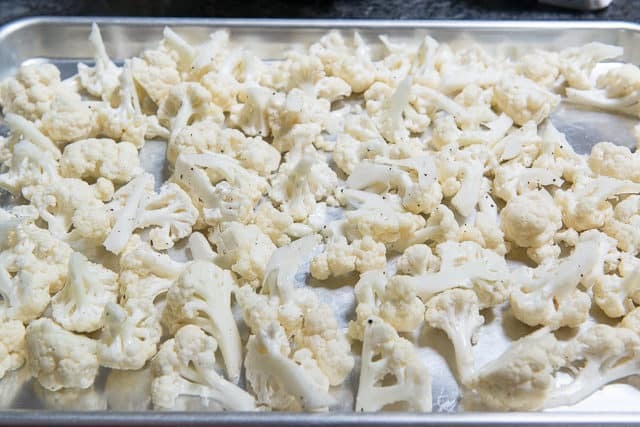 ***Excess water on the cauliflower before roasting will prevent browning. Simple roasted veggies are the best! This is so yummy! This is so good, and so easy!